At American Police Beat we try to stay away from politics but we decided to make one exception after 20 years of publishing. 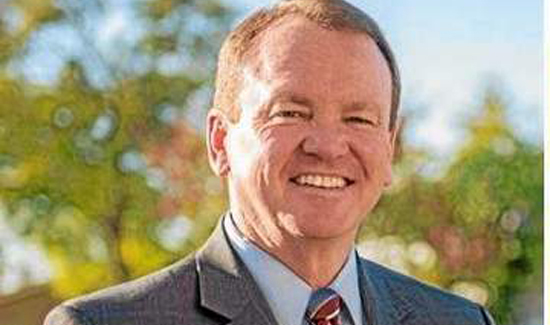 If you are a voter in Los Angeles County, I hope you will cast your ballot for Jim McDonnell for Sheriff. He is currently serving as the Chief of the Long Beach Police Dept where he’s done a terrific job. I have known Jim since he was an 18-years-old cadet at the station I worked in at the Boston Police Dept. Bill Bratton, the current commissioner of the NYPD, was our boss. Besides being one of the nicest people you will ever meet – a true gentleman in every sense of the word – he is more than qualified to lead the nation’s largest Sheriff’s department as they begin to make profound changes within the agency. He recently served on the Citizens’ Commission on Jail Violence, an independent blue ribbon panel that conducted a year-long investigation and issued a detailed report with 63 recommendations for lasting and meaningful changes within the Los Angeles County jails and in the Sheriff’s Department. He knows what changes need to be made and he has the experience and skills to make those changes. McDonnell began his law enforcement career in 1981 as a twenty-one-year-old graduate from the Los Angeles Police Academy. Over nearly three decades he held every rank in the LAPD, including First Assistant Chief and second in command to Police Chief Bill Bratton. He is a proven and respected leader in local, state, and national law enforcement and criminal justice bodies. He is the immediate past president of the Los Angeles County Police Chiefs’ Association, a former president of the California Peace Officers’ Association, and a board member of the Peace Officers’ Association of Los Angeles County. As an expert on community policing strategies, Jim McDonnell has employed his experience collaborating with community leaders in the many diverse neighborhoods across Los Angeles County to enhance community relations and promote safe neighborhoods. McDonnell’s community policing plan was the foundation of Chief Bill Bratton’s efforts to refocus and reform the LAPD. He was appointed by Governor Schwarzenegger to serve as a member of the California Commission on Peace Officers’ Standards & Training (POST) and was re-appointed to serve a second term by Governor Brown. He is also Chair of the Law Enforcement Advisory Committee for the Anti-Defamation League (ADL). McDonnell works with numerous non-profit organizations that focus on furthering the interests of youth. He was appointed to the U.S. Attorney General’s National Task Force on Children Exposed to Violence and served in two U.S. Department of Justice National Executive Sessions — the National Executive Session on Law Enforcement & Public Health and the National Executive Session on Police Legitimacy and Racial Reconciliation. McDonnell is dedicated to preventing crime at its roots rather than simply reacting to it. Under his leadership, violent crime in Long Beach is at an all-time low. That’s why I endorse him for Sheriff of Los Angeles County.